We undertake almost any kind of web design and development projects for an affordable budget.We are specialized in Web Design & Development. From small, medium and to large scale Corporations can use our SEO services without any hesitations. We cover all the SEO needs of a business. We are specialized in online marketing, and mastered almost all the techniques that exist in the online world.Providing an affordable marketing solution. We provide an innovative and creative graphic design concept for our clients.Our TEAM is Creative and Innovative, we make our clients' projects WOW. We are a Orlando web design and marketing company with 5 years of experience. We have finished over 1,000 web designs and developments, 500 marketing campaigns , 750 branding campaigns and over 950 search engine optimization projects. We have a passion for excellence, creativity, detail and most of all providing results that can deliver to our clients satisfaction. Our team mantra is “To work hard and be hospitable to each and every client”. We believe in creating a base that will allow us to have our clients for life. Our year to year performance has given us a commanding place in the industry that reaches new heights every year.We intend to keep the engine running hard and effectively. We are ranked #1 position for Orlando SEO Expert Keyword for the Last 4 years without letting our competitors to out rank us. You have a great idea, you have the product so what’s next? Starting and having your small business visually online is important now more than ever. The Internet is continually growing and changing. Web Market Florida SEO Company offers a wide range of opportunities to set you up for success in your business. Exactly how Fresh is Your Website design? Your business or personal website will be Pleasingly Stylish and classy in Appearance or Manner. Clean coded and user-friendly. Search engines like google won’t be able to read your content as humans do, therefore we will improve your internet site content to stand out and get noticed. Offer a maximum viewing experience in all the devices such as iPads, tablets, laptops, mobile phones and smart phones. We will use High Resolution Illustrations and photos to brighten your business web design. We will make sure it is optimized for web speed as well as online search engine requirements (Adding of Meta Tags). Our web designing professionals and template designers will layout a road-map along with a strategic approach for your business website and will make sure that it’ll be unique and satisfies your requirements. Probably the most critical areas of an online site is definitely the content. 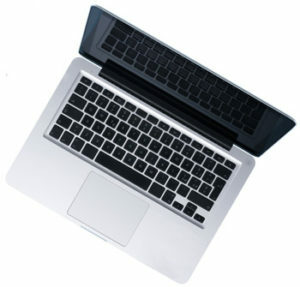 We will deliver content development, content organizing and composing, and keyword evaluation for your company website. Once the project is finished, we will soon notify the client. Client reviews the project and if satisfied client will release the final payments. If he/she needs any changes or found any kind of errors, we will be more than happy to review it free of charge. In-fact, we give life time tech support on any service from WMF. Client provides a detailed description of the work he/she required. We follow up with a project scope, which includes budget, milestone payments an exact delivery date. Client approves it and we sign an agreement. Project reporting will be provided at the end of every week. This will be a full report with a detailed description about the project milestones. For an internet marketing or digital marketing strategy to be successful a marketable website must be in place. It is very difficult, if not impossible, to succeed with internet marketing without a creative visually appealing website that is designed with all the online marketing techniques in mind. Web Market Florida is a web designing company with a dedicated group of experienced and professional web developer/designers and Florida SEO Expert specialists who have hands-on skills and expertise in web designing using the latest web designing and marketing techniques that adhere to the leading-edge web standards.Here are among the latest web design Florida and marketing techniques that we employ when designing cool websites for our clients at a very affordable fee in order for them to be successful with any online marketing strategy for their website. Our Orlando SEO Services in Florida for small businesses and non-profit organization are unique from client to client and project to project, but the best part is the cost for a Local SEO Campaign in Florida is same for all the projects. We provide results based on customer needs. Our Orlando Digital Marketing Strategies are the best in the business. We are in the business of making the impossible possible and assisting in providing WOW results. 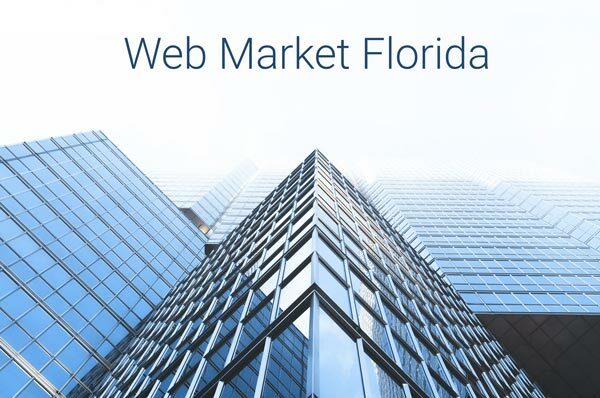 Web Market Florida, delivers with detail the most exacting standards of excellence and personalized service for each of our clients. Internet marketing is just as important as having the actual product you are trying to sell. Many businesses can gain a lot of visitors with the right design and strong online presences. Web Market Florida offers professional web design and effective marketing solutions for Companies and Individuals. We get your company & products globalized. According to the clients requirements, we provide complete customization for each and every type of web pages in a website. Responsive, Mobile friendly, SEO ready and clear coded web design service provider from USA. With our unique Web Design techniques and simple marketing strategies, we are able to fullfill our clients online needs and requirements. 24/7 Customer Support. We also provide a personal supervisor for each and every client who purchase our services. Our technical team will keep your website or services up to date with the latest techniques and key features for free. This is a free lifetime service and it is unique. We understand that internet marketing or digital marketing is all about attracting internet users to take a given action once they get into your website. For your business to convert properly, we will get the site designed with clients in mind. 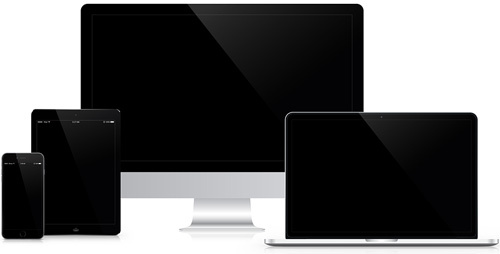 A user-friendly website is achieved by the most leading-edge design techniques such as a responsive design and Mobile Friendly Web Design in Florida, which enables your website to re-size and fit in all screen sizes such as desktop, tablets, and smart phones. A user-friendly website also needs to have an effective internal and external linking structure which will give your site’s visitors an easy time navigating to other relevant pages both on-site and off-site to find relevant information. Apart from a working site linking structure your website also needs to have an easy conversion process. Whether your site’s goal is to sell a given product, or to allow visitors to download a given product, or to get subscribers for your newsletter or whatever you want, we ensure that the conversion process is not complicated as this may send your visitors away from your site. 2. FLORIDA SEO COMPANY EXPERTS DESIGN USER-FRIENDLY WEB SITES FOR BETTER RANKINGS. Since most of the website traffic comes from search engines when users are searching for products and services organically, our professional web designers ensure that your business site is search engine friendly in order to get maximum traffic to the website. Internet marketing is all about directing targeted traffic to a website and this needs an effective search engine optimization (SEO) strategy which must be done by skilled experts. To add an effective SEO strategy should include both On Page SEO and Off Page SEO which are both important for a successful online marketing on a website and for local businesses we need to implement Local SEO Florida frame work develop by our Orlando SEO Experts. Organic local SEO Florida will always get more conversions than any other marketing strategies, specially if you are a local business. 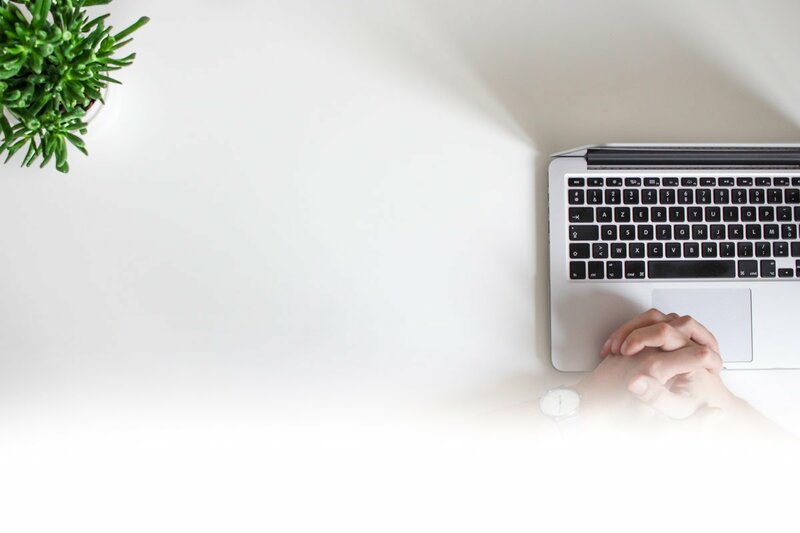 Organic local SEO in Florida is all about the general structure of a website and it is hard to achieve without an effective web design and development strategy with florida SEO company services in mind from the beginning to the very end. Effective design for organic search engine optimization involves Content writing, clean HTML coding, site tagging, working site maps, image Alt tags, and extensive keyword research. Moreover, major search engines like Google and Yahoo are content based, which means they like sites with unique content related to a given product or service. As such, we pride in creating web-pages with relevant content for our clients which also involves right use of keywords on each web-page. Overusing your keywords may result in search engine penalties such as your pages being de-indexed and consequently will never show in the search results. Not only content, but also images, webpages with images included with content show up in the search results very often. We include relevant images and alt tags among our SEO framework for an effective site designing for search engines rankings. Finally, having a website without a proper marketing strategy is useless. You need to market your site for the internet users to find it and to build your online presence: Paid search or pay per click (PPC) is one of the most effective ways to market a site due to its effectiveness in geo targeting and targeting valuable customers who are most likely to take a converting action. We have the most up-to-date PPC optimization tools and specialists in Google AdWords, Facebook Adverts and Bing Ad campaigns. We will make sure that you don’t waste your time and marketing budgets on useless tools and ineffective systems. All these methods are SEO Services Florida Strategies, we use different strategies for different locations; sometimes these methods are also known as Local SEO services. On the other hand, your website needs to be integrated with major social media platforms. Social media Customization is playing a huge role in building business reputation in today’s world. Your website needs to get the full advantage in social media marketing (SMM), and market your content and product on all major social media sites such as Facebook and Twitter among others. Our SMM professionals integrate all the major social media platforms into websites to make it easier for your site visitors to share content with their friends. Again, what is marketing? It is a complete mixture of creative ideas to provide clear visualization for your customers and seo services in Florida for better local ranking. How can you do this? You need to have a Cool Website and a Complete on page and off page campaign from Florida SEO Company Experts.